DownWithTyranny! : Why Did Gillibrand Really Chase Al Franken Out Of The Senate? 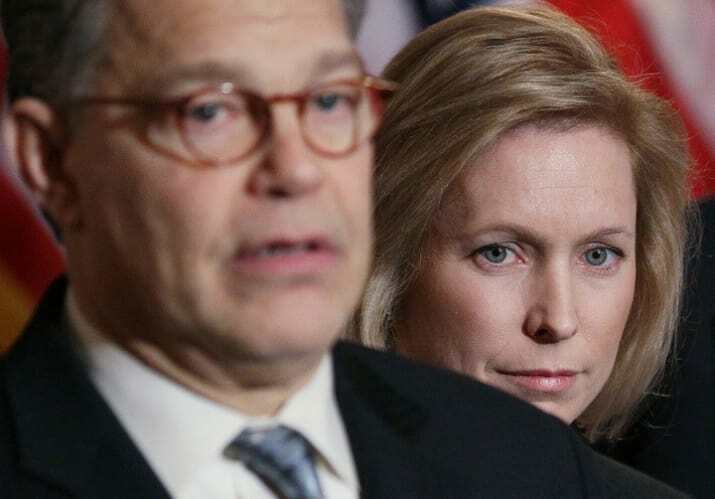 Why Did Gillibrand Really Chase Al Franken Out Of The Senate? The other day a friend of mine in Congress told me I missed an important part in my Gillibrand vs Franken coverage. "You're not following the money, Howie," he told me. "Franken was leading the charge on Comcast, right? Check out the Comcast money flowing into Gillibrand's campaign." So I did. Comcast spends an immense amount of money bribing corrupt politicians from both parties-- both in lobbying (last year alone: $15,310,000) and in campaign contributions (last year: $2,627,152). The 2012 cycle was huge for them-- over $34 million in lobbying and $5,431,065 directly to politicians. And guess who the two top Senate recipients were: Bob Casey (D-PA, where Comcast is based) and Kirsten Gillibrand (D-NY). They gave her $48,850. That's a lot-- and way more than any Senate leaders. So far Comcast has given Gillibrand a hefty $83,254. Why? The only senator really leading the charge against the Comcast's number one legislative priority, their merge with Time-Warner was Al Franken. Roll Call: "In attacking the proposal, no lawmaker was a bigger player than Franken, the Minnesota Democrat who sent three letters to regulators and caught a Comcast executive in embarrassing obfuscation at a Judiciary Committee hearing... He argues that media consolidation, and in particular combinations of content providers and content creators, disserve consumers by raising prices and diminishing the quality of the content." Franken says he’s an advocate of net neutrality for a similar reason. It prevents Internet providers from favoring some content over others. When the merger was announced in February 2014, conventional wisdom had it that Comcast’s lobbying, along with its generosity to members of Congress, would ease the path to completion. Comcast’s nearly $5 million in contributions to candidates in the last election cycle placed it among the top corporate donors. 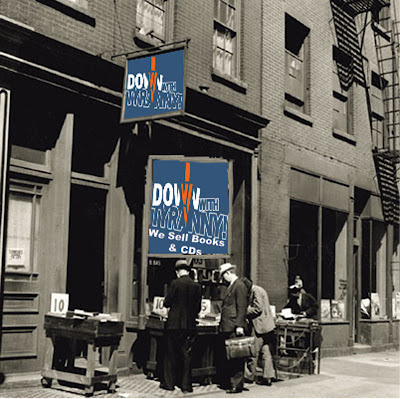 Its political action committee was more generous than those of all but five other firms. Its $17 million in lobbying expenditures in 2014 were No. 1 among corporations. ...He also argued that regulators should scrutinize Comcast’s compliance with the conditions it accepted when it was allowed to merge with NBC Universal in 2011. According to reports this week, the proposed merger fell apart after the Justice Department raised questions about Comcast’s merger with NBC, and over concerns that it would control too big a piece of the Internet service market-- as much as 40 percent. ...Comcast couldn't find support in Congress. A coalition of groups opposed to the deal ginned up grassroots support. Franken said last year that he had heard from 100,000 people who opposed the deal. The Stop Mega Comcast coalition, which included groups like Common Cause and Consumers Union but also rival businesses such as the Dish Network, hired its own lobbyists at the Glover Park Group, a well-connected Washington firm, and cultivated support for its position among members of Congress. Congressional letters opposing the deal outstripped those in favor. Franken said the grassroots opposition made the difference. Comcast “hired an army of more than 100 lobbyists and spent millions of dollars on advertising to sell the deal,” he said in a statement Friday. “But more and more people came to see it the way I did and joined the fight." I don't doubt Gillibrand had plenty of other things in mind when she went after Franken and forced him to resign from the Senate. The 2024 presidential nomination, for example, or sincere #MeToo issues. But Comcast is what my friend in the House said is what I missed. And here I thought it was just Wall Street that owned her! This is the Party too many want to take over from within. Popping corn to enjoy during the show. Very interesting, Howie. Another wrinkle. Follow the money. Gillibrand is a P.O.S. I despise her for what she did to Franken. However, Al should have stood his ground a little longer. He could have insisted he would resign only after a proper investigation and/or when Trump goes and/or leave it up to the constituents of Minnesota to decide. Gee, it would be great to know exactly how many women were paid off by Michael Cohen to keep their mouths shut about Trump. In his book, Wolff said Bannon commented, "hundreds." I am rooting for Stormy!! I see a very bright future in democrap party politics for the new champion corporate whore, gillibrand. Can a presidential run be far off? What a breath of fresh air she would be. President of/by/for Comcast instead of of/by/for goldman sachs. I look forward to DWT justifying a vote for the Comcast whore. The justifications for voting for the bankers' whore were hilarious. I don't care if the R running is louie gomert. I'll never vote for a democrap ever again. Anonymous at 9:58 - you evidently did not read DWT's article discussing the Comcast/Gillibrand situation. I didn't read DWT supprting Comcast/Gillibrand. You are just to quick to get out your idiotic "democraps" messages for all of us to read. You are a troll! How is the weather in St. Pete Russia this time of year. You are having a very productive shift at the troll farm there. It looks to be a pretty crappy building you have to work in though. Open up the curtains and get some light. Hell, go ahead and open the window. Then please jump out! Russpublican! Did the DCCC end the Jan bot and replace it with "Empy"? Sure looks like it! 6:21, just as DWT promoted $hillbillary in the election vs. trump, they will promote gillibrand in her upcoming race against TedCruz or gomert or whoever it is. DWT promotes the democrap party. They appeal to the MORE well-meaning among us by cleverly flummoxing you into thinking they are trying to fix the party by promoting "progressives". But in November, DWT will NEVER suggest you vote for a Green or anyone else. They will promote every single democrap candidate as 'less evil', even those who they, today, tell you is worthless, corrupt, former Rs and so on. DWT does not want to fix the country. They want democraps to win elections. period. It is far more logical to assume that jan and empy are both putinbots acting to make feeble-minded American rubes blind to assertions that might serve to, some day, make the left re-emerge. Putin likes his enemies stupid and fighting among themselves.